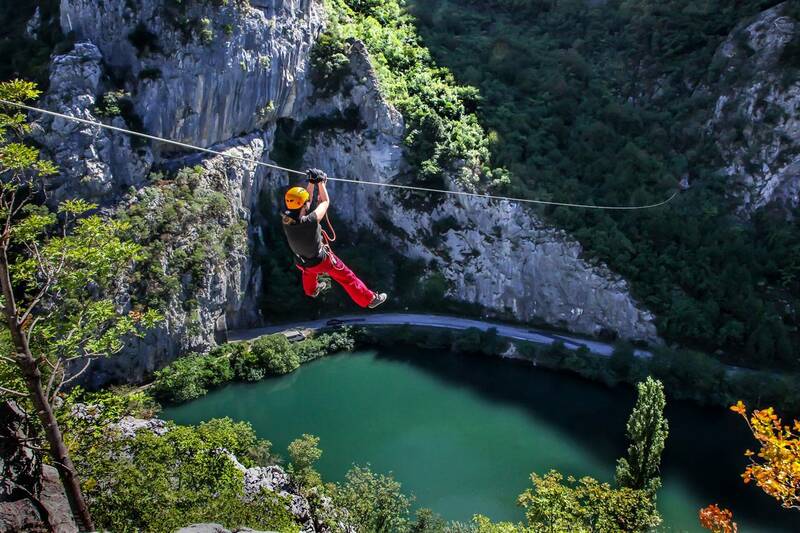 Experience an adrenaline rush as you soar over Croatia’s stunning wilderness. Your views will include the breathtaking emerald green Cetina River winding through the valleys near Omiš, Croatia. NOTE: THIS TOUR DEPARTS FROM SPLIT, CROATIA AND IS DESIGNED TO BE BOOKED WITH OUR CROATIA WEEKEND TRIP. The tour usually meets at 11:30AM-11:45AM at a set meeting point, confirm with your guide when and where you will be meeting.The tour returns at approximately 17:00-17:30. 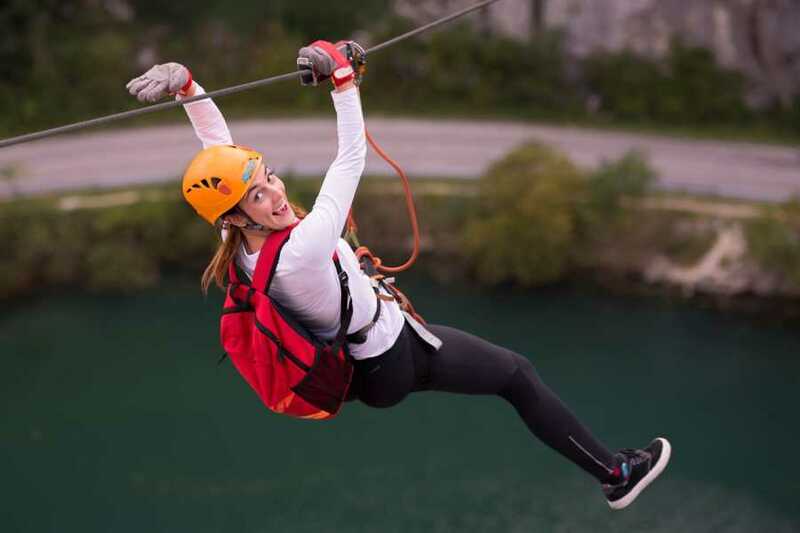 The Ziplining adventure will include 8 separate ziplines, each offering a unique view and experience. You can bring any items with you in a backpack that is wearable while ziplining. If you want to take pictures we recommend a camera with a wriststrap, as photos are typically allowed on one of the ziplines. Two guides are assigned to each group, and they will give you all the equipment you need, which includes a harness, helmet and gloves. You will be also given a tutorial of basic skills and instructions on a short practice wire. You do not need previous ziplining experience to participate. 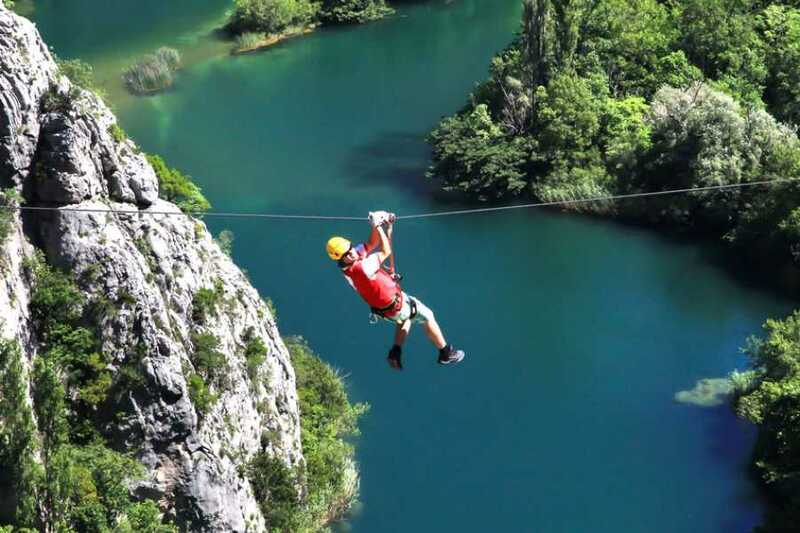 The ziplines are surrounded by wild vegetation and canyons, and begins with a brief hike up to the first wire. 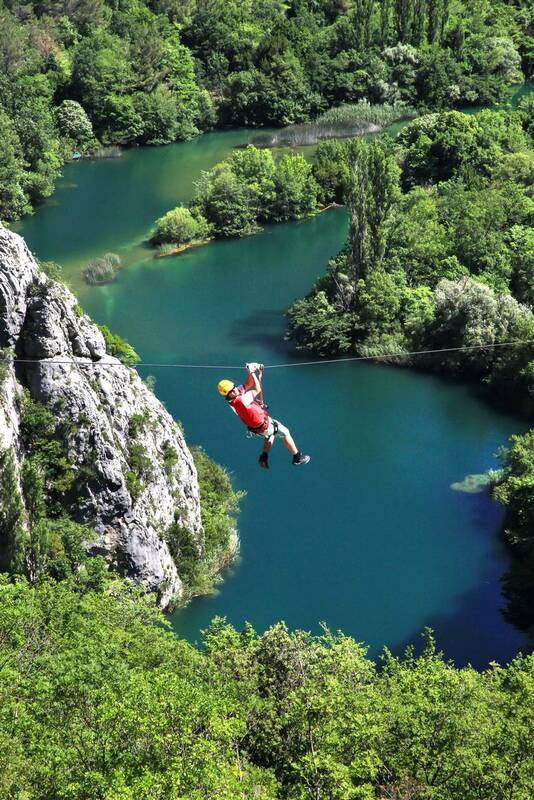 The natural harmony in and around this zipline site is incredible and the views you'll take in are breathtaking as you admire the river!